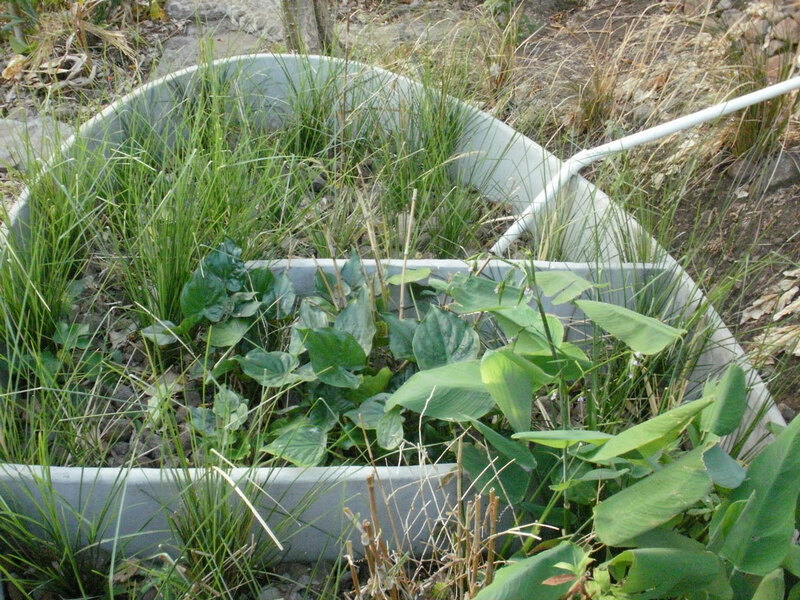 In 2008 we created a system called “constructed wetlands” to deal with the waste water from the showers and kitchens. 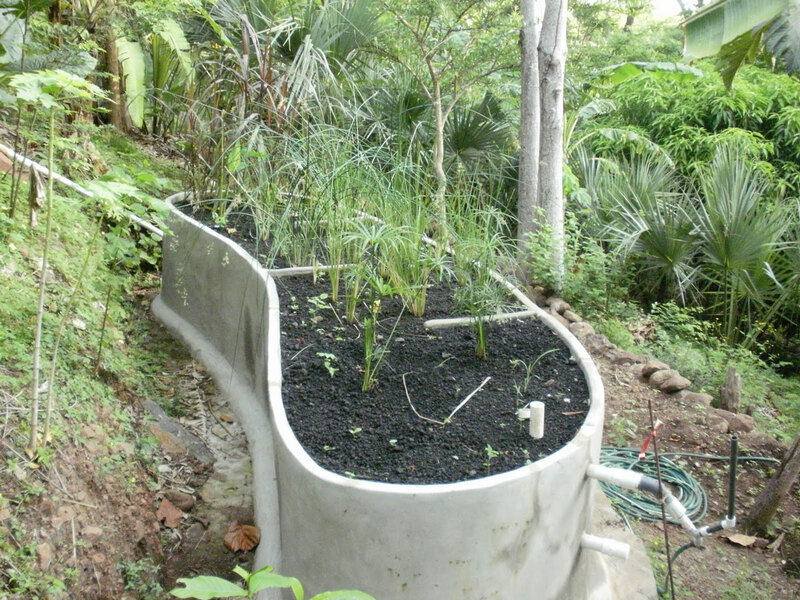 These waters pass through a system of canals filled with sand, plants and rocks of various dimensions, they then pass on to a series of tanks also filled with sand, rocks and plants which absorb and purify any remnants of soap, oil or fats. 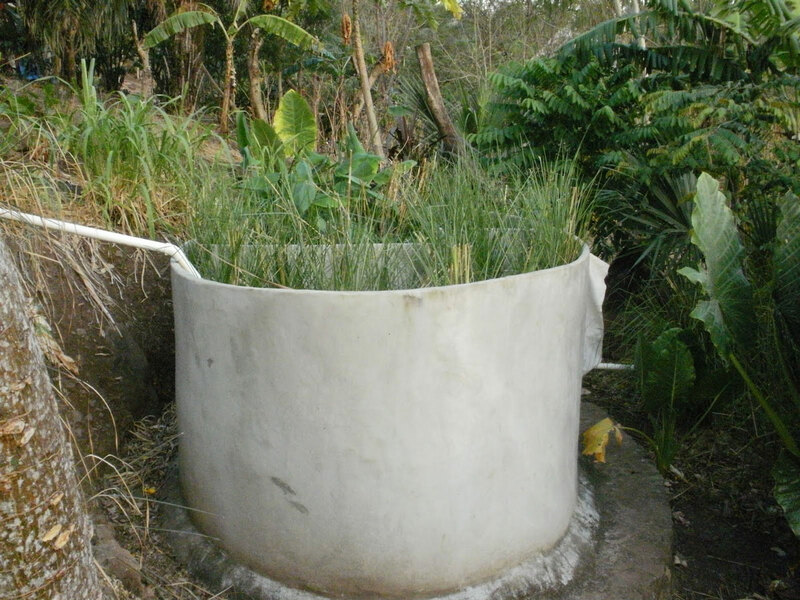 This purified water may then be used for irrigation and re enter the circle of life.